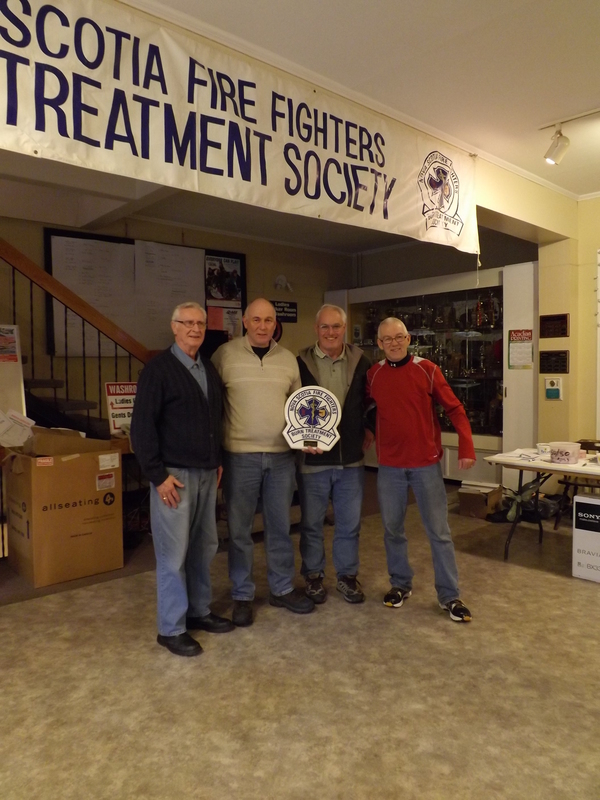 This past weekend the Firefighters of Amherst had a very successful spiel with 28 teams participating and the Nova Scotia Fire Fighters Burn Treatment Socieity will be very pleased to accept the money raised from the Burn Unit Funspiel. They use the funds not only to support the burn victims of Nova Scotia but their families as well. Amung other things they provide gas money to families who cannot afford to get to the hospital to visit their loved ones. The Amherst Fire Department has been very successful in raising money through this Funspiel for this important cause and the format of this event has been used by other departments in the province. 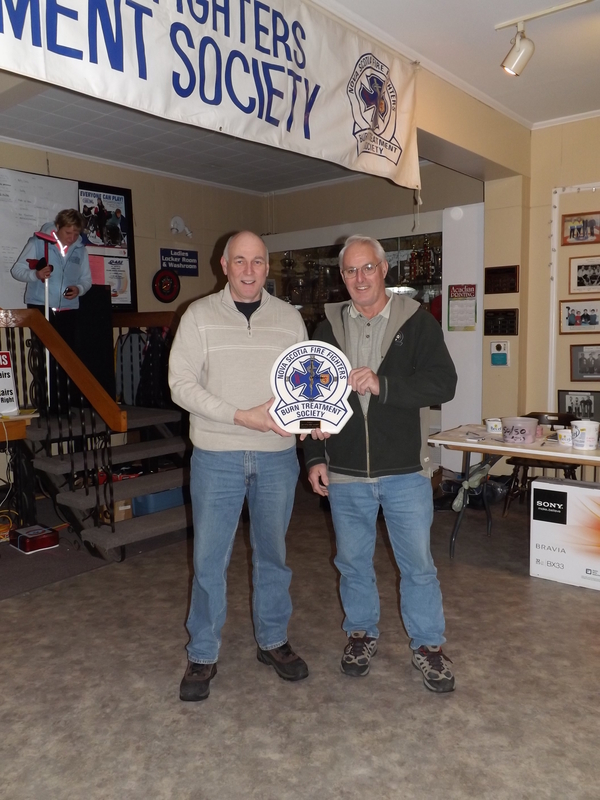 In the picture above the Nova Scotia Fire Fighters Burn Unit Society honoured Joe Dupuis for his long standing support of this Funspiel. Joe has been in the background supporting this event for a number of years and the boys wanted to show their appreciation. The club was packed with curlers Friday night who were well entertained by the music of “Freefall”. What a great band!!! On Saturday all were back on the ice enjoying the curling the way that it should be with lots of laughter and good hearted teasing. Janey Allen was in the kitchen with her great cooking and the firemen had lots of prizes to draw for, as well as 50/50. On Saturday evening Tom Skabar & Sean Hatton brought in their guitars and had a bit of a kitchen party.